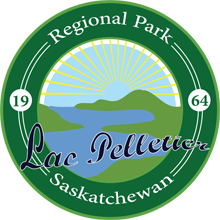 The Lac Pelletier Regional Park Board Authority (the “Board Authority”) was established by an Order in Council under the Saskatchewan Regional Park Act in 1964. The Board Authority works closely with the founding Rural Municipalities (RMS) and community volunteers to achieve their short and long term goals for the Park. The Park’s mandate is to provide opportunities for active participation in outdoor recreational activities, promoting respect of all people and our natural resources, promoting cooperation in working together to achieve common goals through volunteerism and an understanding of the history and contribution of settlers to the region. The Board Authority meets the second Monday of every month, and more often when required, to deal with Park business. Day-to-day operations are delegated to the General Manager, Campgrounds & Office Manager, Golf Course Superintendent , Maintenance Manager and Golf Clubhouse Manager with their team of staff who maintain and operate the Park, including but not limited to the grounds, public facilities, entry gate and golf course.